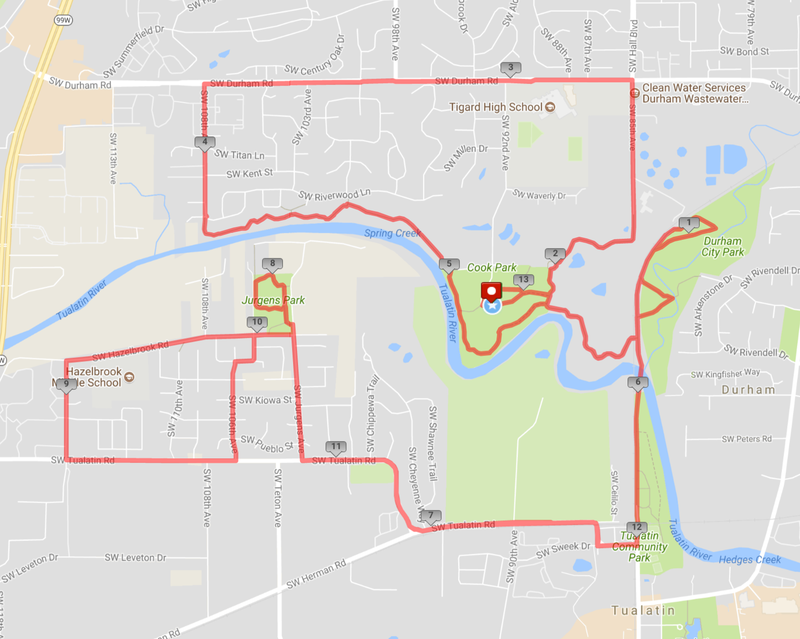 The Hero-Up Race will be held at Cook Park in Tigard OR on August 31, 2019. For more detailed information including interactive and elevations maps, click here. All of the little heroes will have the chance to race around Cook Park to test their speed against the incredible Hulk! Are you fast enough to beat him? For all Half Marathon and 5k runners. We strongly encourage people to come get their bibs at packet pick-up rather than on race day, however, you can also pick up your packets on race day starting at 6:30 am for half-marathoners and 7:30 am for 5K-ers. There should be plenty of parking at Cook Park since soccer games haven’t started yet this season. This is NOT a closed course. Runners will be running on sidewalks and park paths. While running in the neighborhoods, we ask that you respect the property of the residents and nearby businesses. There will be certified flaggers and volunteer flaggers on the course to ensure your safety while crossing intersections. Bathrooms – there will be flushing toilets in the park at the start/finish area as well as nearby within the park. While on the course, runners will run by flushing toilets through Cook Park. 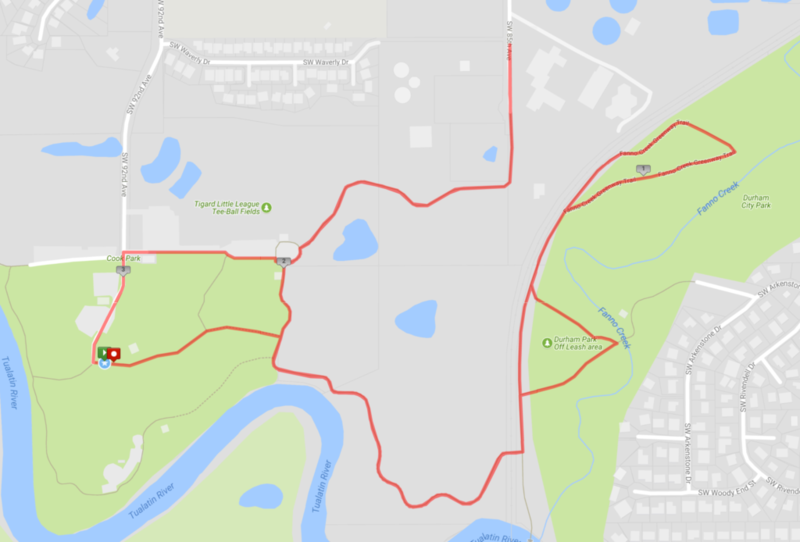 Half-marathoners will also run by flushing toilets in Tualatin Community Park and Jurgens Park. Runners will have access to bathrooms at approximately miles 2, 5, 6.5, 8, 10.5, and 12, as well as at the finish. Aid Stations – water and first-aid stations will be approximately every 2 miles with HEED electrolyte drink available at aid stations #3, #4, #5 and #6 for half-marathoners. For 5K runners, the aid station is located just after mile 2. Hammer gel will also be available at Aid-stations #4 and #5. It will be a warm morning! We will have lots of water at the aid stations and the finish. Be sure you’re hydrating well over the next few days. Medical – there will be two mobile bike EMT’s on the course to assist in any medical situations. Basic first-aid supplies and ice packs will also be at every aid station. Hero-Up mugs and Hero-Up double-wall tumblers will be for sale all morning for $10 and $12, respectively. Kids race shirts will be sold for $15 each. All Kids will receive a prize when they check in. Dynamix Crew Deejays will be playing awesome music as always! Day of Race Registration from 6:30-7:15 am for the half, and until 8:15 for the 5k; Kid’s Race until 9:15. Costume Awards and Age-group Awards – 9:30 am for the 5k, 10:30 am for the Costume Awards and Half-marathon awards. There will be bagels and cream cheese, fruit, trail mix, pretzels, and water. Help yourselves! Black Rock Coffee Bar will also be providing delicious iced drinks again this year! Show your voucher from your swag bag to the Black Rock stand to redeem your free chocolate milk, Italian soda or iced mocha. New Balance will have a booth set up for perusing and purchasing. All children will also receive a ribbon upon finishing the Kids’ Race. We will have a large photo backdrop for selfies and group photos this year. Hashtag your photos from the race with #herouprace so we can all view each others pics! We are excited to have professional photographers this year: Define Motion! They will be taking photos that we will get on our website for your review.